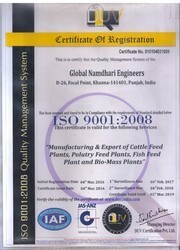 Global Namdhari Engineers, established in the year 1990, an ISO 9001:2008 certified company, is well-known engineering company which is managed by a well educated and experienced mechanical engineer Mr. Bhagwant Singh (Proprietor). Our Engineers with wide knowledge of pelleting process provide a pelleting solution for Wood Pellet, Wheat Straw Pellet, Rice Straw Pellets, and Coal Dust Pellets etc. 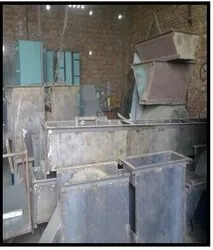 We have changed the definition of pelleting, we have started our journey from Cattle feed spare parts in 1990, cattle feed plants in 1992 then poultry feed plants in 1995. By keeping our innovation live, we have made machines for Bagasse pelleting, Wood pelleting, Biomass pelleting, Rice straw pelleting, wheat straw pelleting, Groundnut pelleting, cotton sticks pelleting, cottonseed shell pelleting etc. The fact is, we are the First in India to provide very economical and well technically established Cattle, Poultry, and Biomass plants. Innovation is the key. Our Design team keeps adding value to our machines by converting customer’s requirement & our ideas into the shape of the state of the plant machinery. 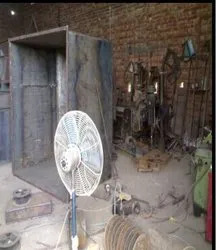 Due to our quality products, we have huge clientele from Nepal, Bangladesh, Sri Lanka & Africa. To innovate and produce the best quality highly energy efficient machinery and related parts for maximizing productivity. In moving towards these objectives, “GNEr” has extended its role from the narrow confines of a machinery supply company to a solution providing company. Our ethical and transparent business dealings make us able to fetch a huge support and trust of our clients. For this, we conduct market research in order to get an exact idea about the demands and requirement of our clients and fulfill them accordingly. We assure to our clients that products offered by us are in compliance with the industrial quality standards. Creative talent and hands-on knowledge of our experienced professionals facilitate us to acquire the support of our huge clientele base. We have stringently checked the skills and ability of employees while recruiting them and also assign them jobs accordingly. Our experts are well versed with the prevailing tendency of the market and make us able to carve a position in the market by providing them desired range to the clients. To achieve the predetermined objective of our organization, our company performs their task with utmost accuracy and precision. Our sophisticated infrastructure and knowledgeable professionals also make possible for us to acquire a huge support of our clients.